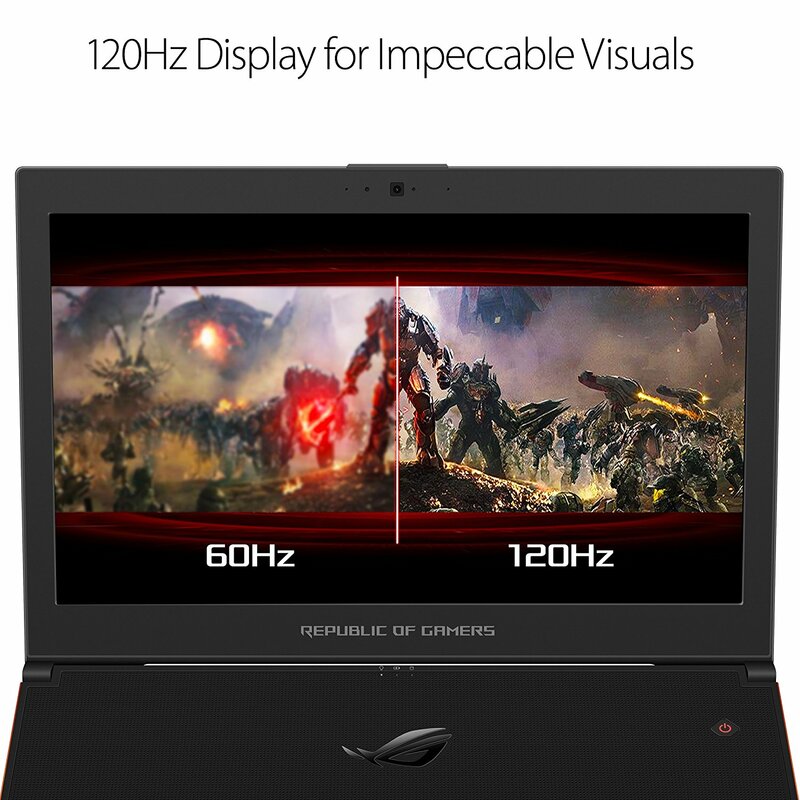 Another gaming laptop is now available in the market the Asus ROG Zephyrus GX501VI - XS74. This laptop PC is packed with the 7th generation Intel Core i7-7700HQ quad core SoC that features 6 MB level 3 cache and runs at the base speed of 2.8 GHz but because of Turbo Boost technology the processing speed increases up to 3.8 GHz. It also features dedicated graphics controller called Nvidia GeForce GTX 1080 Max-Q with 8 GB GDDR5X memory. This is a mobile high-end GPU from the Pascal series. 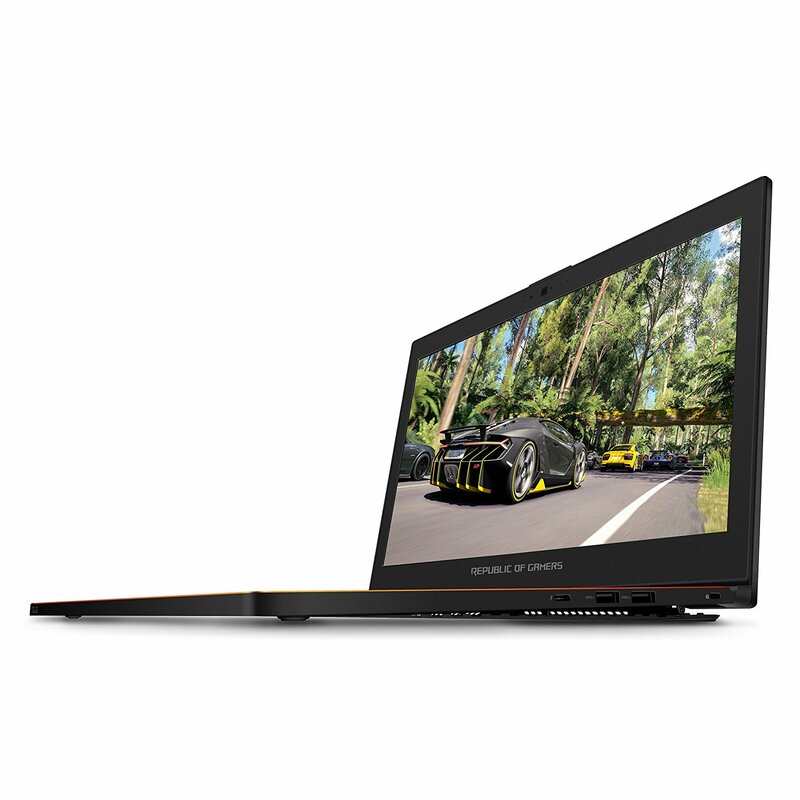 It is primarily intended for thin and light laptops and about 10-15% slower than a regular GTX 1080 for laptops based on the cooling capabilities. Under the hood, this Asus ROG Zephyrus GX501VI - XS74 is equipped with 16GB DDR4-2400MHz SO-DIMM on an Intel HM175 chipset motherboard; 512GB HyperDrive SSD based on the latest NVM Express (NVMe) and PCI Express technologies which is much better than a Hard Disk Drive; Dual TI-255 Smartamp audio with 2x 6W output; HD UVC webcam; Kensington Lock; keyboard with Aura RGB backlighting; and 3.5mm Headphone/Mic Combo. It also features exclusive Active Aerodynamic System (AAS) that breaks all the rules. AAS combines intelligent design with innovative technologies to give gamers what they want: an ultra-slim laptop that runs cooler and quieter without sacrificing performance. 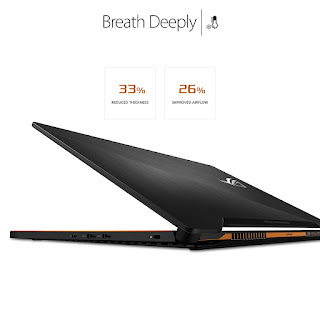 AAS incorporates a unique AeroAccelerator (AA) technology that increases the speed and efficiency of airflow through the laptop. It comes with 4-cell 50WH battery that gives you more than 2 hours of battery juice. This gaming PC comes with 15.6” anti-glare full HD display with 1920 x 1080 screen resolution and 120Hz refresh rate. 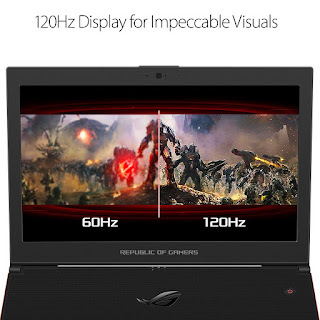 According to Asus, this ROG Zephyrus’s 120Hz display lets you enjoy exceptionally smooth gaming at a true 120 frames per second. Everything feels fluid, especially fast-paced games. With wide viewing angles and 100% sRGB gamut coverage, the panel also produces outstanding colors regardless of where you're sitting. 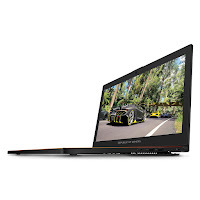 In terms of connectivity, this Asus ROG Zephyrus GX501VI - XS74 comes with Thunderbolt 3 (Type-C); USB 3.1 Type-A x4; Intel Dual Band Wireless-AC 8265 (802.11ac, a/b/g/n compatible); Bluetooth V4.2; and HDMI 2.0. This gaming PC is powered by Windows 10 Pro operating system. This device measures about 14.9 x 10.3 x 0.7 inches and weighs about 4.9 pounds. This can be had at the price of $2699. Other laptop in this price range includes MSI GT80 TITAN-SLI-258. Do you this gaming PC? Let us know what you think about this computer.